US President Donald Trump made waves on Tuesday by abruptly firing former Secretary of State Rex Tillerson and choosing CIA director Mike Pompeo for the spot. Trump said that Tillerson’s departure had much to do with his views on the Iran nuclear deal. Pompeo, like Trump, has a tougher approach to Iran, leaving some experts to believe the US may soon end the deal while others think it’s all rhetoric. At the very least, Pompeo’s appointment will provide a unified front on Trump’s foreign policy message. With President Donald Trump’s decision to swap out Secretary of State Rex Tillerson for CIA director Mike Pompeo, the status quo in the Middle East could quickly disappear. Tillerson had been known to tow a cautious line in his foreign policy approach, leading many to criticise his ineffectiveness, but Pompeo has been much more vocal on his hardline approach to global policies, particularly regarding Iran. One of the biggest issues in the Middle East, Pompeo has compared Iran to ISIS and called the 2015 Iranian nuclear deal, which lifted sanctions in exchange for limiting the country’s nuclear capabilities, a disaster. Trump said Tillerson’s departure had much to do with his views on the Iran deal, leaving experts to believe significant change is on the horizon. Pompeo’s tough-talking rhetoric on Iran has experts questioning what the future of the Iran deal, or the Joint Comprehensive Plan of Action (JCPOA), which limits Iran’s uranium enrichment, will look like. While the deal is still in place, President Trump decertified the deal in October and has threatened to pull the US out of the deal if its “flaws” weren’t fixed. Andrew Miller, Deputy Director for Policy at the Project on Middle East Democracy said on Twitter that Pompeo’s appointment could have “significant consequences” in the Middle East. 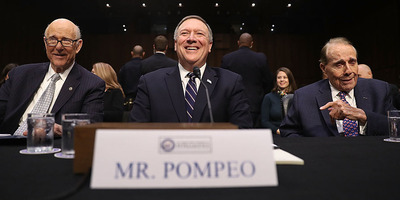 But Rodger Shanahan, a research fellow at the Lowy Institute, told Business Insider that Pompeo’s tough approach to Iran is mostly rhetoric. “Just because you’re tougher talking on Iran doesn’t mean you’re going to change the policies on the ground,” Shanahan said. While Shanahan doubts the US would pull out of the deal in the “foreseeable future,” he believes Pompeo’s hardline views may still shape policy. “He might be able to achieve amendments to the nuclear deal by making Europeans run scared that the Americans will decertify it, but I’m not convinced,” he said. Shanahan believes Pompeo’s appointment is part of Trump’s efforts to bring in officials who share, not challenge, his views. According to Shanahan, Pompeo’s role in the administration is not to advance policy, but to provide a united front for Trump’s foreign policy. “In the current environment, policy unity is the most Pompeo can accomplish. Trump doesn’t want a Secretary of State who’s diluting his message,” Shanahan said. Shanahan said that while Tillerson played “good cop to Trump’s bad cop” on Middle East issues, Pompeo and Trump will likely serve as “bad cop” and “worse cop” in future policies. Still, with recent budget cuts and many state positions yet to be filled, Shanahan says Pompeo will ultimately lead to more of the same. “You’d think Pompeo would get more face time with the president but the way the State Department has been hollowed out, do they have the diplomatic heft to actually do much better than Tillerson did? I think the answer is not particularly in the current state,” he said.